With vivid memories lodged in our brains, it feels like only a matter of weeks since Ninjas in Pyjamas were standing on the DreamHack Masters Malmo stage lifting the trophy in front of a home crowd. But that was actually the best part of nine months ago, and now we are just a few weeks away from seeing whether NiP can defend their crown at DreamHack Masters Las Vegas. Interestingly, the shape NiP is in now has a lot of similarities to how they were doing prior to Malmo, when things really weren't going too well for the side. Prior to Malmo, NiP were in arguably the worst form they have ever been in. They hadn’t won a big tournament for months, and had only placed in the top four of one event since the Cluj Napoca major, which was five months prior. As a result many were questioning their status as a top-tier team. Being unable to win a LAN was almost unthinkable for a team that had been so dominant on LAN, but it was a reality they faced and needed to fix. While there was always a strong core of players in NiP, the bad run of form had them questioning themselves. Even Patrik “f0rest” Lindberg admitted that the team started to doubt themselves in-game. They showed signs of doing well prior to Malmo, with a strong group stage at IEM Katowice, and making it out of groups at the MLG Major using their coach instead of pyth, but going any further than the first couple of knockout rounds had been difficult. This was not the NiP that we were used to seeing. After the MLG Major, the next stop on the road was DreamHack Masters Malmo, and despite being on home soil many thought it would be a tough task for them to win, especially with the likes of Luminosity, Na'Vi, Astralis and Liquid all in attendance. Playing without pyth at the Major also meant they had not been playing with their core roster for a few weeks, and it’s never easy when a player comes back into a line-up after missing an event. Even diehard NiP fans knew in the back of their minds that it would be a tough task. Things didn’t get any better for NiP when the groups were announced. With a field of teams that wouldn't have looked out of place at a Major, it was never going to be easy, but being matched against Dignitas and Astralis was not the result they wanted. In their current form, just making it out of the group could have been considered a win. NiP couldn’t have got off to a worse start if they tried. The first match against Dignitas ended in a 16-2 scoreline victory for the Danes and NiP looked awful. If they carried on like this, Astralis, who were also struggling at the time, would surely knock them out of the group and their Masters run would be over before it started. But fortunately NiP’s next match was against Lounge Gaming, who were the whipping boys of the group. If this match had been against Astralis, things may have been very different, but a cool 16-8 win for the Ninjas gave them much-needed confidence. This set up a match between NiP and Astralis that was easily one of the best from the group stages of Malmo. Neither team had looked particularly strong running up the event and they had a fierce rivalry, often meeting in the early stages of competitions where one would be knocked out. Game one was unsurprisingly easy for NiP thanks to the Cache pick they were so good on. (In fact, they didn’t lose a single game on Cache during Malmo.) A nice 16-5 win put NiP in the driving seat, but nothing is ever simple in a match against Astralis. The Danes pulled back map two on Inferno and set up a crucial map three. The winners were through to the quarter finals, but the losers would be out of the competition. Pivotal games like this sometimes struggle to live up to their billing, but to NiP and Astralis' credit, they put on a great show. It helped that they played on Train, which was a pretty level playing field for the teams, but the in-game action left little to be desired. NiP got off to a great start on T side, taking a 5-0 lead, but by halftime it was 8-7 in the favour of Astralis. Once the switch to CT happened, though, NiP looked like they had gone back in time 15 months to when they were dominant. f0rest ended up with a 1.47 K/D and a 1.25 rating, securing the match for NiP and setting up a crucial quarterfinal match. Watching their opening group game against Dignitas and this second half back to back, you wouldn't realise it was the same team. Being drawn against Virtus Pro in the first knockout round can either be a blessing or a curse. Much like NiP, VP are known for their inconsistency - if they show up, they can be near unbeatable, but on a bad day they can look out of place very easily. Fortunately for NiP, it was closer to the latter in the quarterfinals. Despite both maps ending 16-12, VP never really challenged NiP like many expected. VP looked strong in the groups, but couldn’t muster much in the way of offence here, and what looked set to be one of the most difficult matches for NiP turned out a little easier than expected. 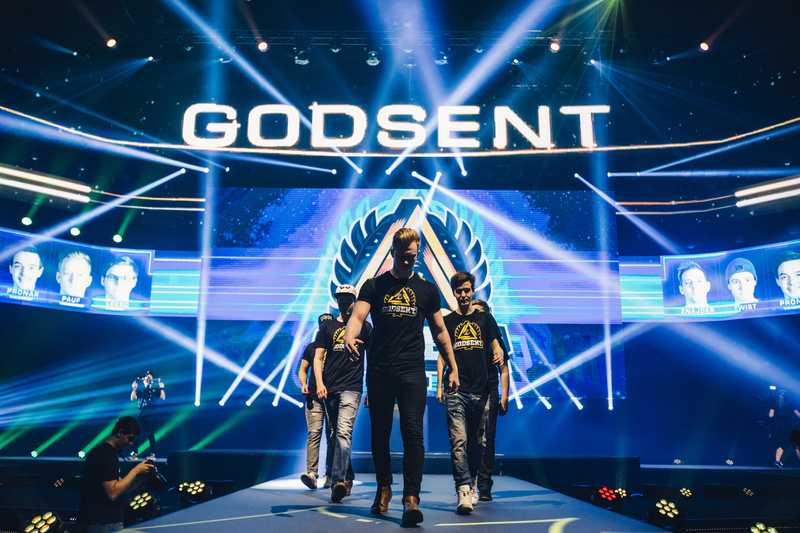 This set up an exciting all-Swedish semifinal against Godsent, who were the surprise of the event. Few expected them to do as well as they did, and when it was time to face NiP people were genuinely unsure who would win. The match played out a little closer than NiP would have liked - a 16-14 win on Cobble followed by a lengthy overtime loss on Train. Yet again NiP were one map away from elimination. Losing at the hands of Godsent would not be what people expected, and it would be doubly painful to bow out of a DreamHack Masters event played on home soil to a band of their countrymen. Enter GeT_RiGhT. For one of the best players in the history of Counter-Strike, the veteran rifler had had a subdued tournament to this point - pretty average all around - but when it came to the last map against his fellow Swedes in the semifinal, he really went off. 28 kills, 18 deaths and a massive 1.51 rating saw the superstar carry NiP to the final, and set up a rematch against the team that knocked them out of the major just weeks before. The final of Malmo couldn't have been a better matchup. Not only had Na'Vi dominated NiP in the quarterfinals of the MLG Major just before Malmo, they had also lost in the final, and were looking to take a major tournament to get back on track. 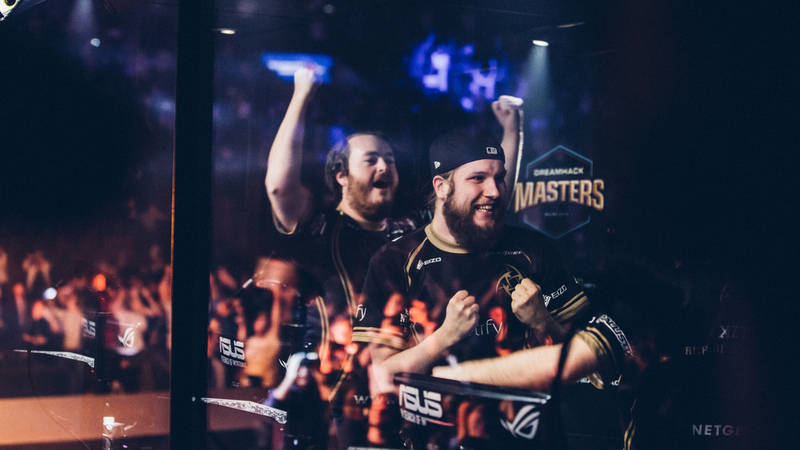 NiP’s unlikely, almost cinderella run through the competition after months of dubious performances had changed more than a few people’s opinion of them, but beating the second-best team in the world, who had dominated them weeks before, would really ram home the glass slipper. It would be a great narrative, but beating Na'Vi was going to take something really special. With Dust 2, Cobble and Mirage set as the three maps, no team had a clear advantage. Na'Vi won the pistol on Dust, but NiP pulled back a few rounds before Na'Vi kicked on and took the half 9-6. Na'Vi again took the pistol, making things look bad for the Ninjas, but some quick thinking saw them take the next round and eventually put the scores even at 12-12. Three good rounds put NiP on map point, but Na'Vi fought back until NiP just managed to take the 30th round, winning map one with no overtime required. The crowd went crazy, truly getting behind the home favourites and it finally started to seem like NiP could do it. 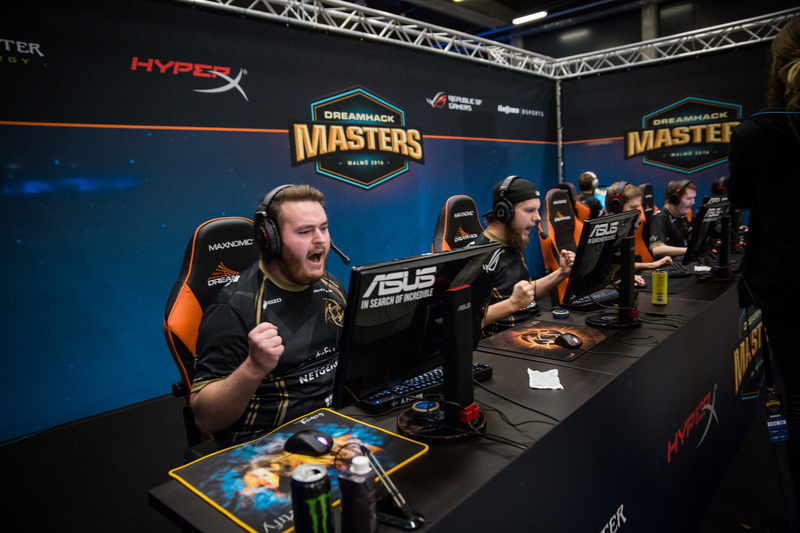 The support and momentum gave NiP an early lead in the second map. Ten rounds in they were up 7-3, but then an almost unbelievable run from Na'Vi, who had looked poor in this match, saw the score come back to 13-7 in their favour. But just as it looked like the fairytale might be ending, NiP put together their own run, taking five rounds to bring it back to 13-12. Na'Vi stole a round back, putting them just two away from taking us to a third map, but four impressive rounds from the Swedes, which saw them win by killing all of Na'Vi every time, gave them the DreamHack Masters crown. Despite the back-and-forth nature of the final map, NiP had outclassed Na'Vi in almost every department. Every member of the team had a positive K/D and rating, and they all out-fragged four of the five members of Na'Vi. If it wasn’t for seized’s superhuman contribution, this could have been a very one-sided final map. With that, the champions were crowned. 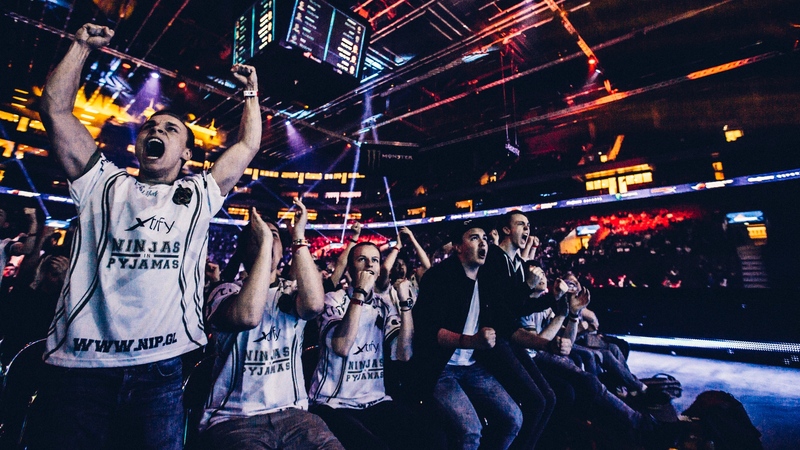 The crowd erupted, NiP were ecstatic and at times looked overwhelmed by their scale of their unexpected achievement. Winning a massive tournament after a year-long dry spell, let alone doing it on home turf, was a memory that those players, their fans and anyone who got to see it happen will cherish forever. If DreamHack Masters Vegas turns out anything like Malmo, then we know we're in for a treat.